Liang Court has always been the place to visit if I feel like having a piece of Japan in Singapore. With the Japanese Supermarket Meidi-ya, Bookstore Kinokuniya and other authentic Japanese restaurants in the building, the mall is always one of the places I would go to if there isn’t anything particular in my mind. I was tantalised by the yummylicous cake display right in front of the Dulcet & Studio one night after a sumptuous Udon dinner at Liang Court. Determined to pay a visit, me and my girlfriends arranged a brunch date over there a week later. 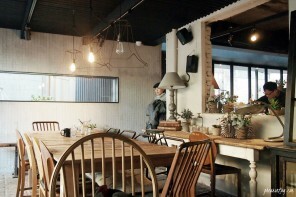 The interior of the cafe is designed by a top Japanese designer based out of Tokyo. 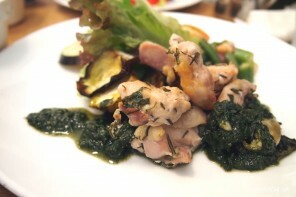 The cafe also functioned as a cooking studio, where customers can sign up for cooking lessons. 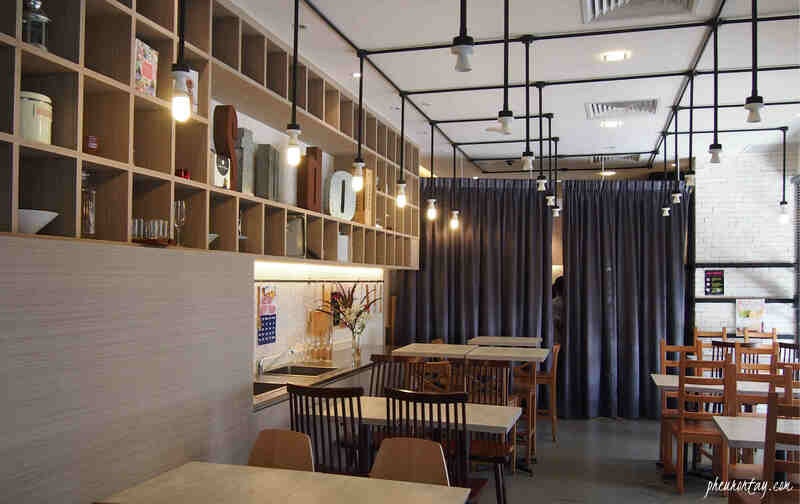 Contemporary country style interior, perfect for girls’ gathering. 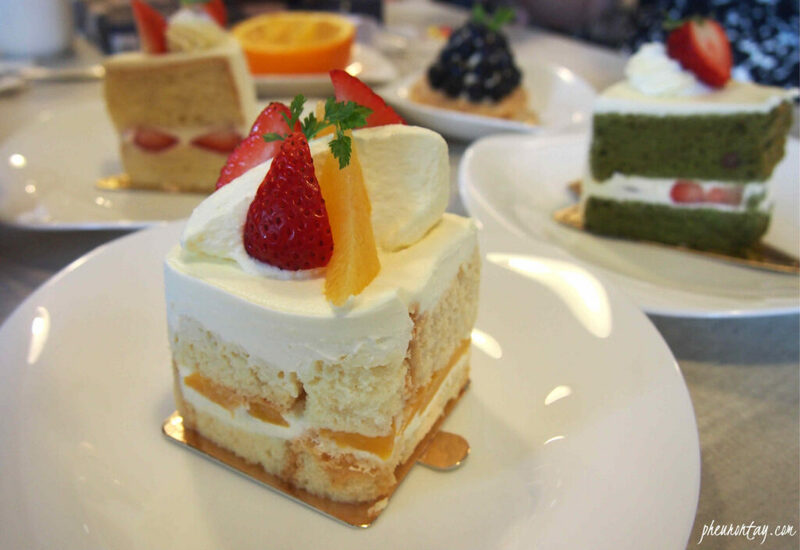 The menu comprises of Western-Japanese Fusion dishes. 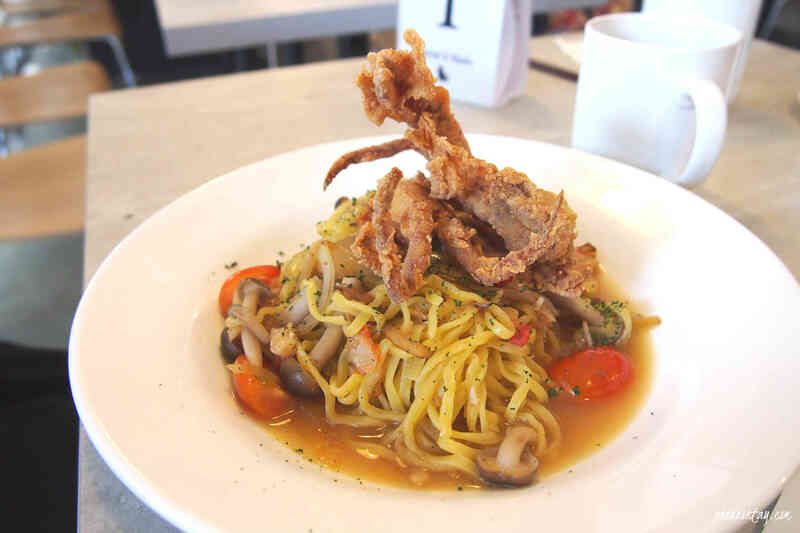 You can expect pasta, hamburger, steak, beef spare rib or baked dory fish, prepared and marinated with fresh ingredients air-flown from Japan. As we all felt like having pasta that day, none of us ordered anything out of that category. lol. And so the baked seafood pasta from the above picture is served. 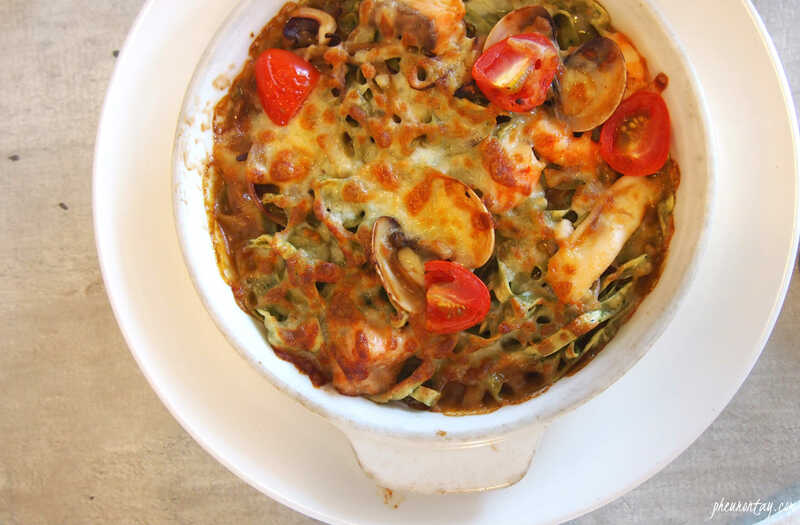 It takes quite some time to get used to the strong seafood sauce — not quite my type. 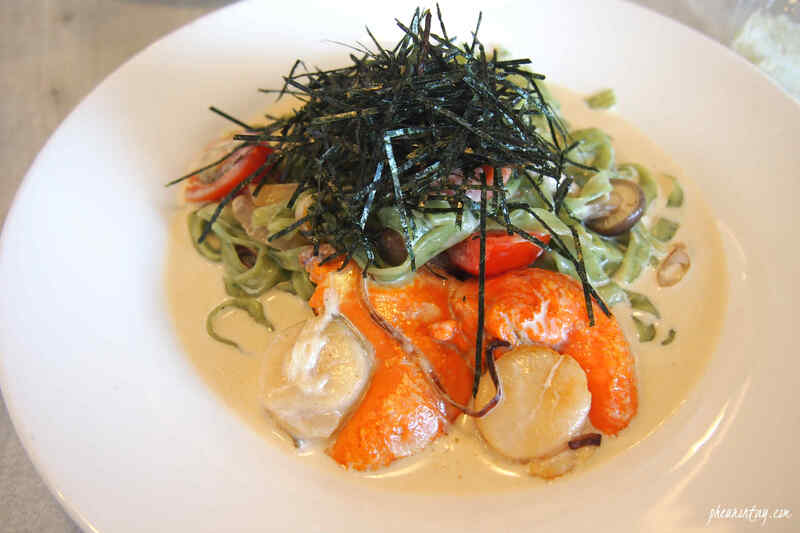 My pasta comes next — to my surprise, this Healthy Spinach Fettuccine with Scallops is actually a cream based pasta. The spinach fettuccine has a chewier texture if compared to the usual pasta. Very interesting texture I would say, and the spinach pasta goes super well with the cream sauce. It tastes good with shredded nori – Imagine seaweed with cream, cheese, butter — a heavenly convergence! 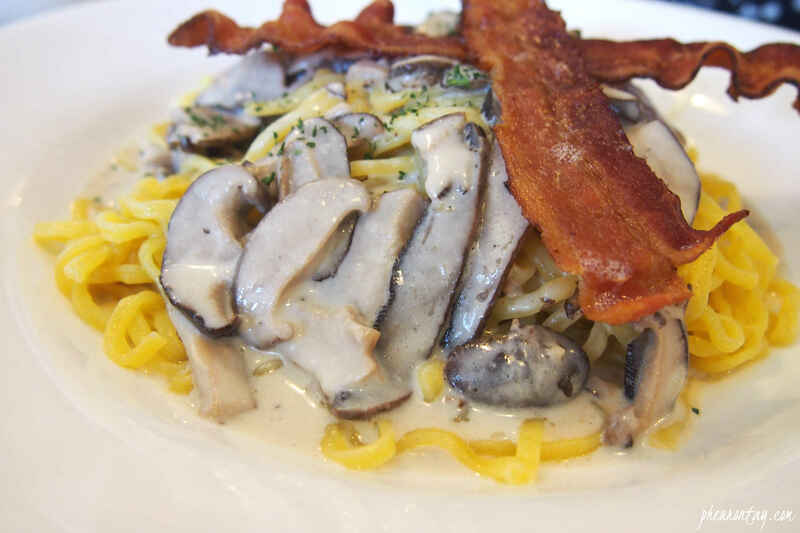 If you like creamy deliciousness, this dish is a must try. 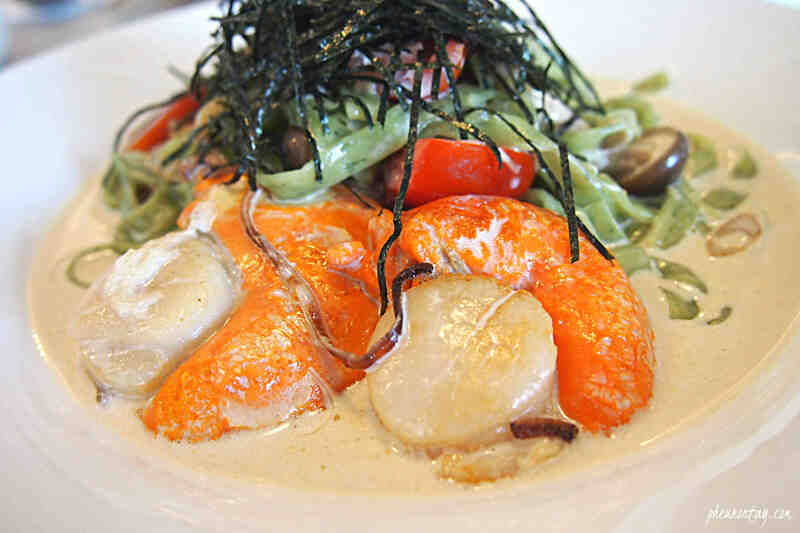 The big fat juicy scallop goes well with the creamy sauce, probably one of the reason I like the dish. Tender seared, the sea scallops are just so photogenic that I couldn’t resist taking pictures of them. My Verdict: Meals served here are from SGD15 – SGD 20, quite reasonably priced considering the quality and the serving portion. 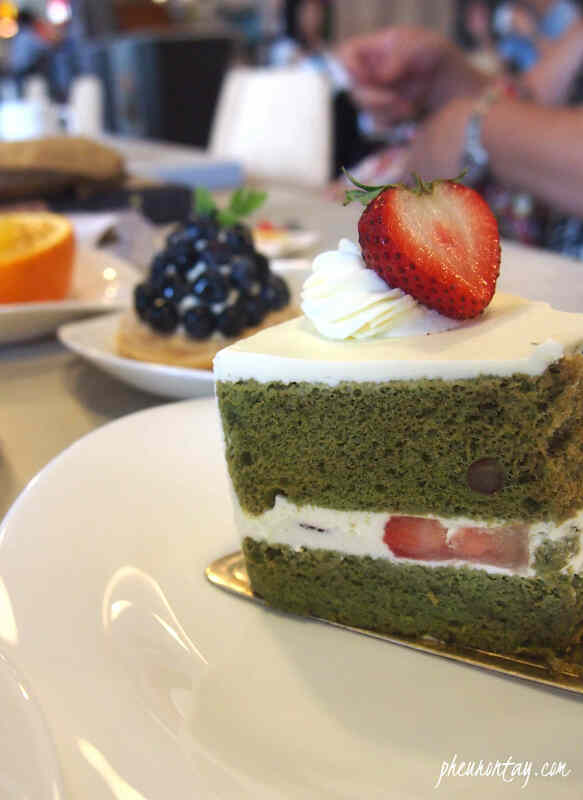 Desserts and cakes are looking good and relatively big if compared to other cafes. Nice but did not wow me. 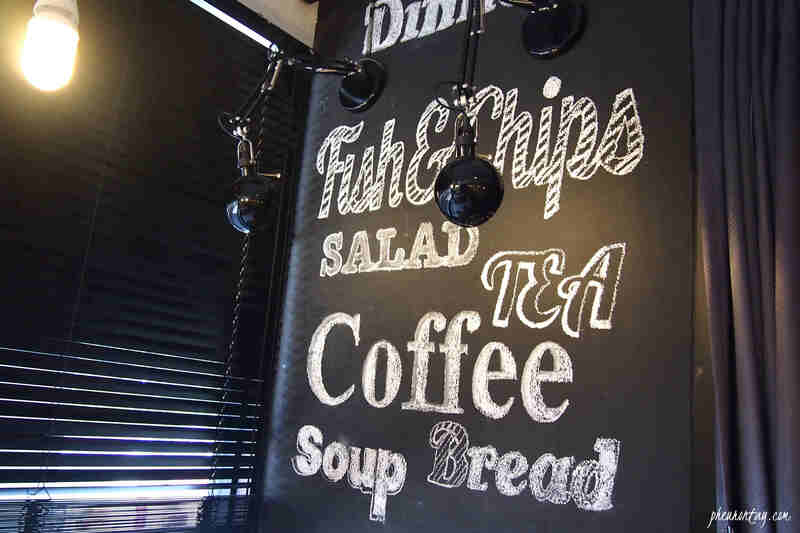 I like the quiet and cosy environment, and would recommend it to those who are looking for a place where you could sit for hours chit-chatting over a cup of coffee. 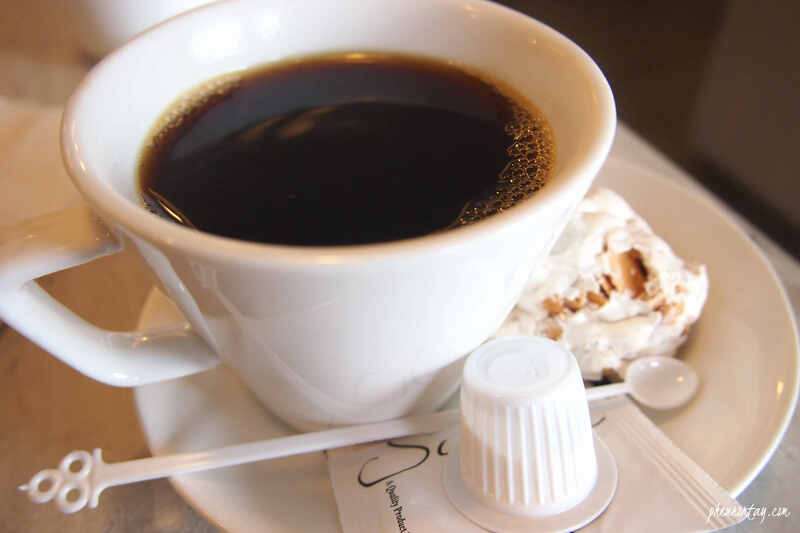 Next articleQueen Sheba: Cosy African Coffee House.